Easy Pork Tenderloin Marsala is one of those quick and easy dinners you turn to when time is short. Ready for your table in about 30 minutes, these delicious and tender pork medallions are a snap to make yet are elegant enough to serve to guests! Some things were just meant to go together: Like peanut butter and jelly or steak and eggs. 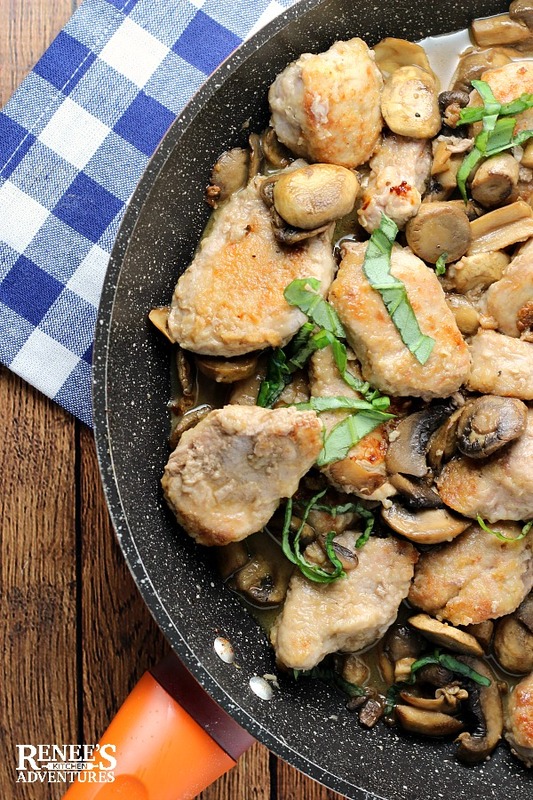 Tender pork medallions and mushrooms are no exception. They are a great combo. Add a little Marsala wine sauce to the mix and you have a real winner with a spectacular pork medallions sauce! A winner winner Easy Pork Tenderloin Marsala dinner, that is! Pork finds it way to my table at least once a week, if not more. It's a relatively inexpensive protein, that when cooked to the proper temperature (145 degrees F for this dish), yields a moist and tender result. Pork helps me get dinner on the table fast! I loved learning about my local pork industry last year. Thanks to the Ohio Pork Council, I had the opportunity to find out what a day on an Ohio hog farm was like. I think it's important to understand exactly where our food comes from and how it gets to our markets. If it weren't for the hardworking and dedicated farmers it wouldn't be possible. Because I do prepare pork often in my home, I love to share my pork recipes like this Ground Pork Carnitas Tacos recipe and this recipe for Sweet and Sour Ground Pork Meatballs with you on this blog. But let's get back to the recipe on hand, shall we? How do you cook pork medallions? While I enjoy pork tenderloin cooked whole, I also like to cut it into pork medallions for quick and easy meals. Pork medallions cook faster than a whole tenderloin, making pork medallions a great choice for a weeknight meal and for pan sauteing. Adding a quick pan sauce made with wine and mushrooms makes them even better! 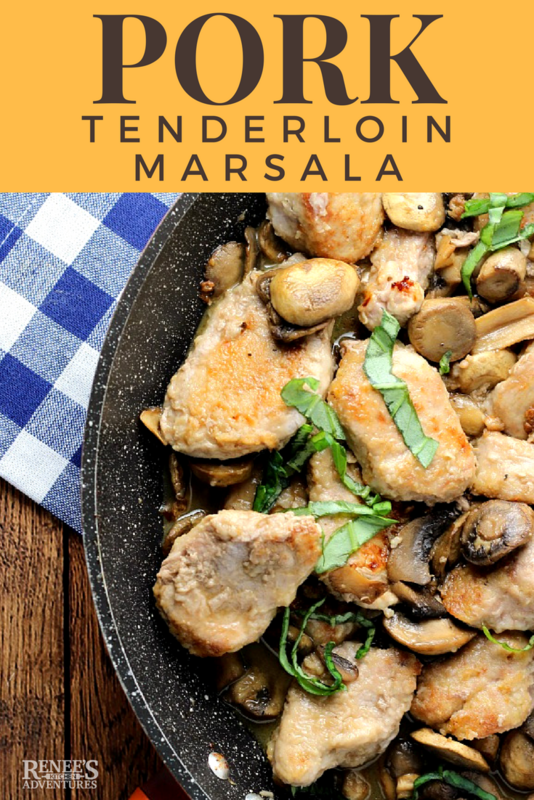 Easy Pork Tenderloin Marsala has quickly become one of my go-to meals. If you want to make this pork medallion recipe but don't have Marsala wine on hand, no worries. You can substitute any white wine you like for the Marsala wine and it will still be delicious. It just won't have the distinctive Marsala wine flavor and will be more of a pork medallions with mushroom sauce recipe. So heat up that pan and get started. It won't take long. 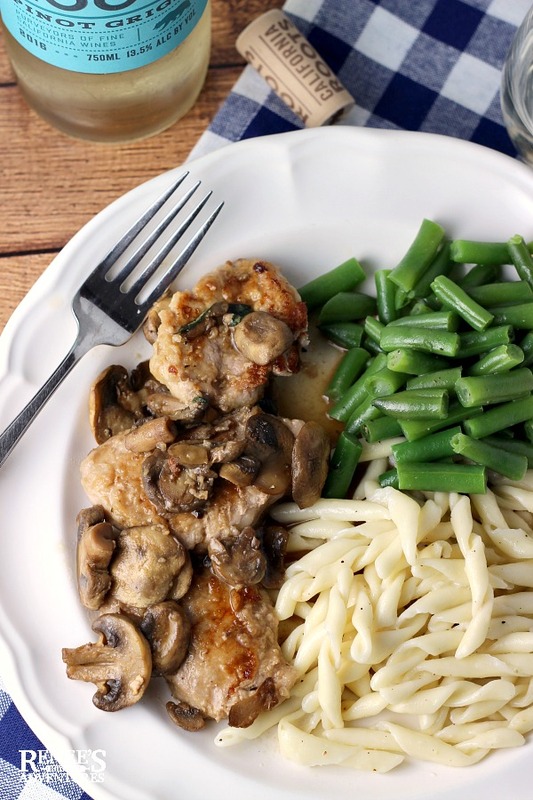 Your family will love Easy Pork Tenderloin Marsala and so will you! 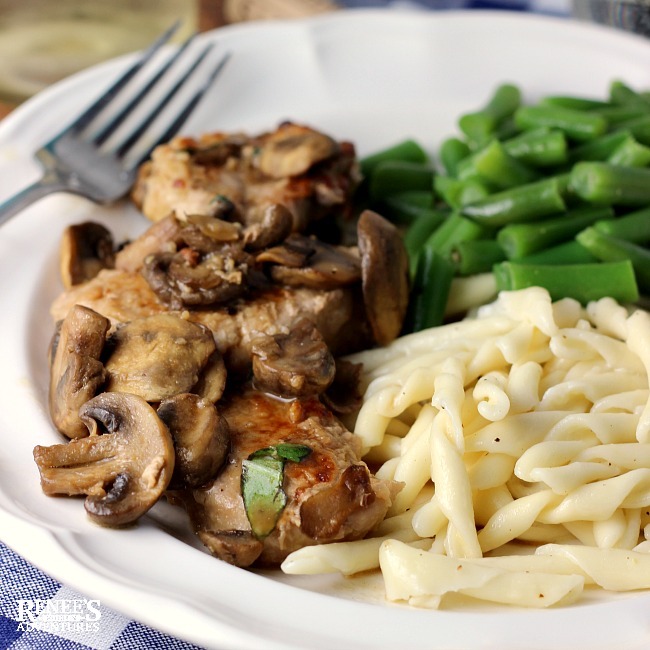 Pork medallions are quick seared until golden brown and served in a delicious Marsala sauce with mushrooms for a quick and easy dinner any day of the week! In gallon sized plastic zipper bag, combine the flour, 2 tsp. kosher salt, garlic powder, and oregano. Drop in the pork tenderloin medallions and toss to coat. Set aside. In a large skillet, on med high heat, add the oil and 1 TBS unsalted butter. When the butter is foaming, add the pork pieces in, one at a time, being careful not to crowd pan. Cook until browned on one side (about 3 - 4 min) then turn and brown on other side for another 3 - 4 min. Remove pork to plate and keep warm. Turn heat down to med. Add in the mushrooms and cook for 2 3 min or until they begin to soften. Carefully pour in Marsala wine, scraping up brown bits on the bottom of the pan. Bring to boil, then turn down to simmer. Reduce wine by about half. Take off heat and swirl in 2 TBS. butter. Test for salt and pepper and add as you like. Return pork and juices back to pan and cover. Allow to sit until pork is up to 145 degrees F internally. Garnish with parsley or fresh basil if desired. Don't forget to pin Easy Pork Tenderloin to your Pinterest Boards! Want to learn more about the Ohio Pork Council?